I have to admit it – I am a mushroom girl. I’ll eat with eggs for breakfast, in a salad for lunch and incorporated into main courses for dinner and I am proud of it! 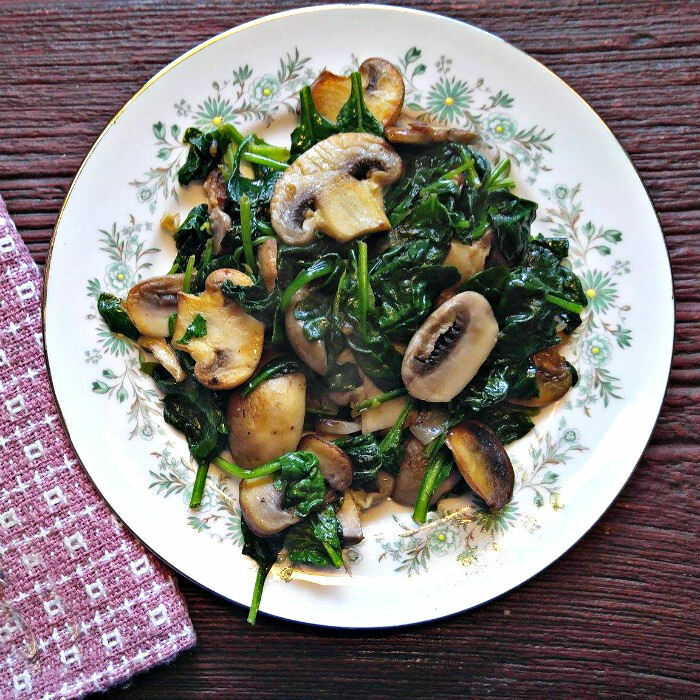 These sauteed mushrooms are combined with garlic and baby spinach. They are ready in 15 minutes and go well with just about anything else on your plate. Well maybe not dessert. I’ve got to draw the line somewhere. I’m not THAT much of a mushroom girl – I have my limits! Got 15 minutes? 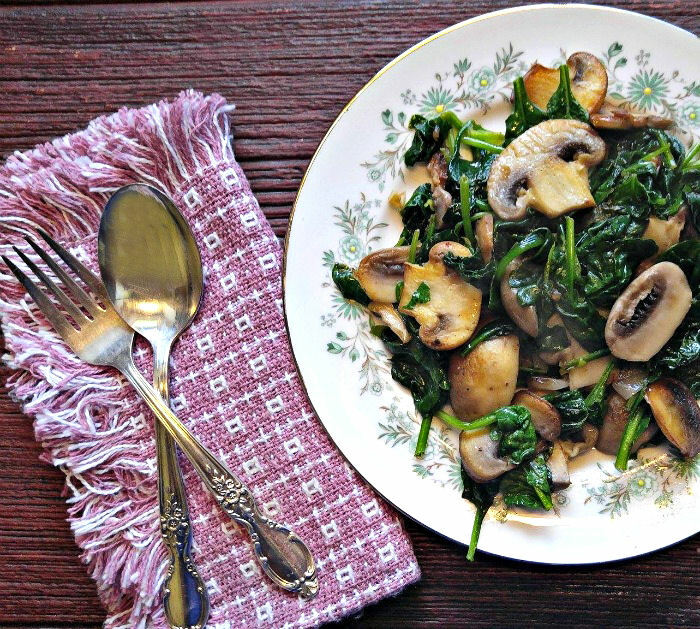 You can make these sauteed mushrooms! 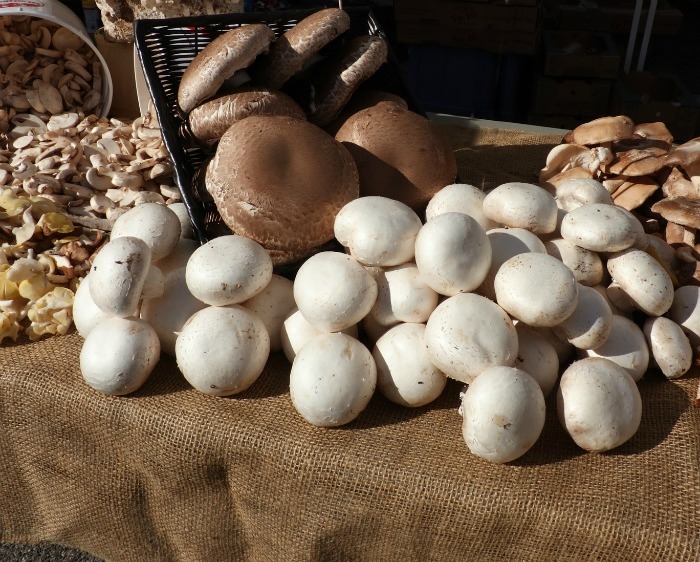 Mushrooms are one of the most versatile vegetables out there. They have hardly any calories – about 4 calories in each one, and combine beautifully with other vegetables for a great side dish. There are lots of varieties of mushrooms, too. See my tips for how to cook with mushrooms here. For today’s recipe, I chose plump white mushrooms but any type will do. The recipe could not be easier to make. 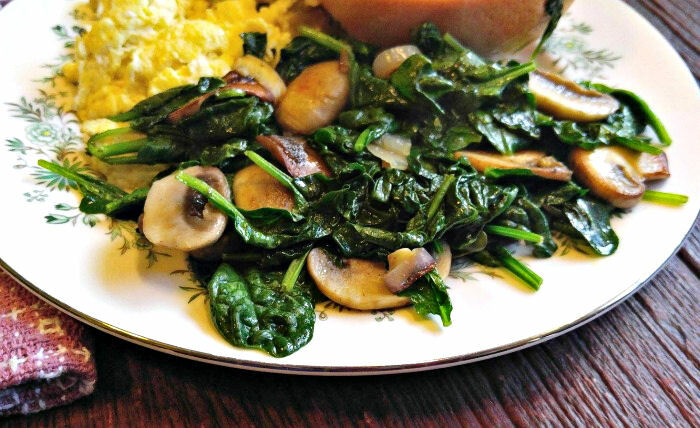 All you need are mushrooms, garlic, butter, salt and pepper and some organic baby spinach and you are good to go. I like the organic baby spinach because it is crinkled and keeps its body better than normal baby spinach. Stir in the minced garlic and the sea salt and cracked black pepper and you are done. It’s THAT easy! Easy to make and easy on the eyes, but the TASTE? So flavorful! It’s hard to believe that you can get this much flavor with so few ingredients. I think I might just serve these with some scrambled eggs today! Also be sure to see how I used this recipe as a base for my caramelized mushroom bacon bowl. 6 cups of organic baby spinach. Heat the clarified butter in a non stick frying pan over a medium high heat. Add the sliced mushrooms in batches. Don't crowd the pan, or they will steam instead of caramelizing. When the mushrooms have caramelized, stir in the diced garlic and cook for about 1 minute. Season with sea salt and cracked black pepper to taste. Stir in the baby spinach and cook just until it starts to wilt.